Transition signals are connecting words or phrases that act like bridges between parts of your writing. 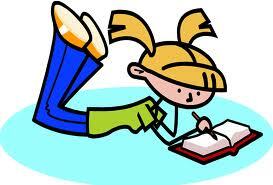 They link your sentences and paragraphs together smoothly so that there are no abrupt jumps or breaks between ideas. Transition signals act like signposts to indicate to the reader the order and flow of your writing and ideas. 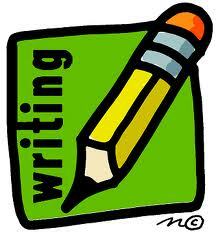 They strengthen the internal cohesion of your writing. Using transitions makes it easier for the reader to follow your ideas. They help carry over a thought from one sentence to another, from one paragraph to another, or from one idea to another. There are several types of transition signals. Some lead your reader forward and imply the building of an idea or thought, while others make your reader compare ideas or draw conclusions from the preceding thoughts. During  the early twentieth century, Australian society experienced a transformation of the domestic ideal. At this time  families were subject to an increasing array of government and 'professional' programs and advice aiming to manage and regulate family life. Some of these programs were designed to counter social changes, others were designed to engineer them; ultimately  each heralded a growing expert encroachment into the private sphere. Intervention and influence took three forms. Firstly  , techniques designed to maximise efficiency were introduced into the home and scientific principles were applied to its design.In addition , housework and parenting methods were scrutinised and subject to unprecedented standards. Secondly  , all aspects of reproduction attracted increasing intervention from government and the medical profession. Thirdly , state, professional and philanthropic groups began to usurp the parental role within the family through instruction and policy. Consequently , the development of 'modern' social ideals brought regulation, intervention and ever-increasing unrealistic standards. Oshima, A & Hogue, A 1991, Writing Academic English, Addison-Wesley. We have seen the movie twice, and now we want to see it again. Not only did my brother break his leg, but he also bruised his rib. My friend speaks Korean and English. She also speaks Chinese. Cheating is dishonest. Moreover, it hinders students from learning. Students should be on time. Furthermore, they must be prepared. You must complete this essay by 5 p.m. In addition, you must do the exercises on page 47. The first (second, another, etc.) example/reason is . . . I have been to many countries. For example, I have been to Russia, Canada, Mexico, and Spain. He often eats strange foods. For instance, he once ate cow brains. I like to travel. Specifically, I enjoy places with old cathedrals. I love fruit. In particular, I like bananas, pineapple, and berries. My friend hates skiing for several reasons. The first reason is that she dislikes being cold. Another reason is that she often falls. Bill earned an A on his essay, but Susan got a B. We wanted to leave at 8:00. However, Mike arrived too late. She hates housecleaning. On the other hand, she doesn't mind cooking. Students should attend class. Otherwise, they may lose their status. I am not going out tonight. Instead, I will stay home and watch a video. Women usually enjoy shopping. In contrast, men often dislike it. despite the fact that . . . He knows that he should do his homework, yet he never does it. I need to wear reading glasses. Nevertheless, I hate how I look in them. I know you don't like to study. Even so, you must pass your exam. There are many benefits to exercising. However, you must take some precautions to avoid injury. Even though the book is difficult to read, it is very interesting. Although the book is difficult to read, it is very interesting. Despite the fact that Kate is good at tennis, she lost the match. Despite Kate's skill at tennis, she lost the match. Math was hard for me in high school. Likewise, it is hard in college. Houseplants require much care and attention. Similarly, outdoor plants must be cared for properly. Rock climbing takes much practice and skill. In the same way, learning to write well requires a great deal of practice. Janet passed her exam, so she is very happy. Tim was late. As a result, we could not go to the concert. James is not feeling well. Therefore, he will not be here today. The committee voted against the proposal. Thus, we must consider another idea. I forgot that the cake was in the oven. As a consequence, it burned. Tina lost her keys. Consequently, she could not drive home. First, I think that she is studying hard. Second, I believe that she is a bright student. Finally, I know that she has great potential. In conclusion, I feel that she deserves to win the scholarship. In summary, we should offer her some financial help. Jeff was working hard to clean the house. Meanwhile, his brother was watching television. I must study hard, or I will fail my exam. Whether you are coming or not, I am still going to Amy's party. If you want to get good grades, then you must do your homework. The bookstore sells cards. In fact, they have the best cards around. James is actually the first person I have known who has been to Africa. He was late to class again. In other words, he didn't wake up on time. The plan needed only two things to succeed—namely, time and money. We can go to the beach, or we can go to the mountains. You can either ride the bus or walk to my apartment. I like neither that person nor his brother. example: The movie has already started, but my friend has not arrived yet. Put a comma before the second part if it connects 2 clauses (complete sentences). example: Eric is not only an outstanding teacher, but he is also a gourmet cook. You don't need a comma if it only connects words or phrases. example: Eric is not only an outstanding teacher but also a gourmet cook. Put a comma after these if they are at the beginning of a sentence. example: I like to travel. Specifically, I enjoy places with old cathedrals. Use a semicolon to connect the two sentences. example: I like to travel; specifically, I enjoy places with old cathedrals. Use a comma before and after the transitional word/phrase in the middle of a clause. example: I like to travel, and, specifically, I enjoy places with old cathedrals.